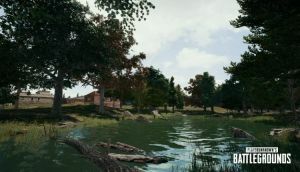 PUBG Bans 100,000 Cheaters In "Single Wave" | Nerd Much? Bluehole would like to make it clear that these are the kind of consequences cheaters should be expecting. Bluehole Studios would like to make it clear that these are the kind of consequences cheaters should be expecting. Even if their anti-cheat team “has to filter through hundreds of billions of data logs manually” they will continue to look for and ban all cheaters. Furthermore, Bluehole states that they have been in contact with “investigative authorities in some countries to take legal actions against developers and distributors of cheats.” It might not just be a ban for some cheaters, the hand of the law could come down on these folk too. These drastic measures are unsurprising due to the recent trend with Epic Games and Activision Blizzard using similar methods to punish cheaters. The difficulties, thus far, have been teaching the judicial system why this issue is so important and how it works. In addition, game publishers and developers are doing their best to work within the confines of current copyright laws that do not always include digital content like video games. That said, Bluehole would also like to share a few updates and fixes. At the moment, there is a bug in the newly installed death cam. Apparently, replay of gameplay has shown what appears to be a lack of recoil, which has driven some players to hit the cheater report button. Bluehole advises that this is a bug and not actually incidents cheating. They will be fixing the problem as soon as possible. Another update is to do with blue zone balance. Bluehole has decided to decrease the waiting time of blue zones in the mid-to-late phase of each match. During this period, blue zones will also be shrinking at a faster rate and the damage per second will increase during the final blue zone phase. Do you think these measures against cheaters are too drastic? Where do you think Bluehole and other developers should draw the line? Let us know your thoughts in the comments below.